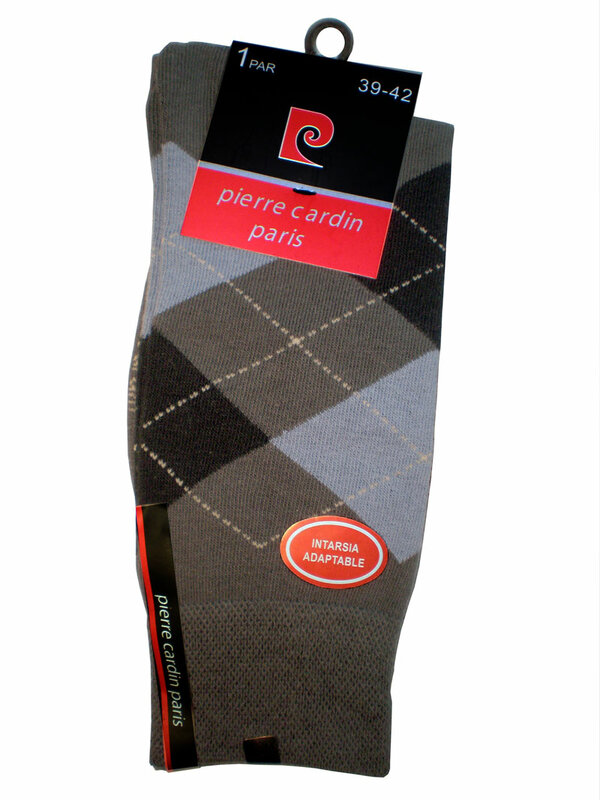 These grey argyle style Pierre Cardin dress socks are thin, breathable and adaptable socks. 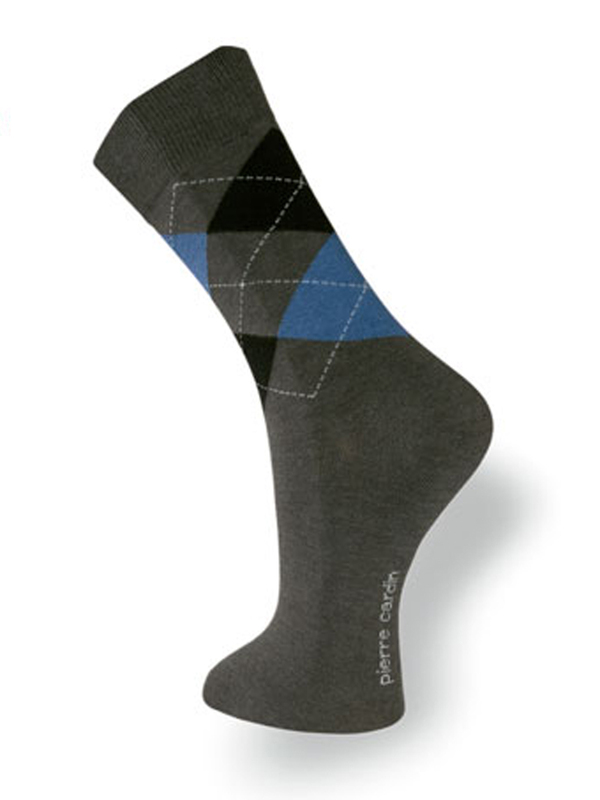 The argyle dress socks are perfect for everyday use to the office on social occasions and during weekend events. Made with high grade cotton and poliamide for excellent soft handle. Knitted with elastane for retain all day comfort and fit. These socks are irresistibly soft and stretchy. 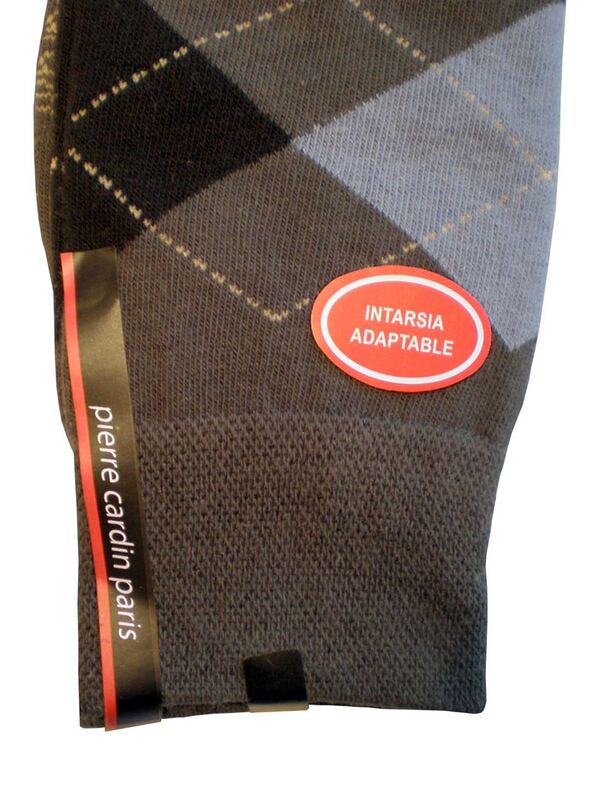 Smart Pierre Cardin logo printed on the outside edge of the sole. Quality as you'd expect from such brand. These socks are designed to fit sizes UK 6 - 8,5 European 39 - 42 and US 6,5 - 9.